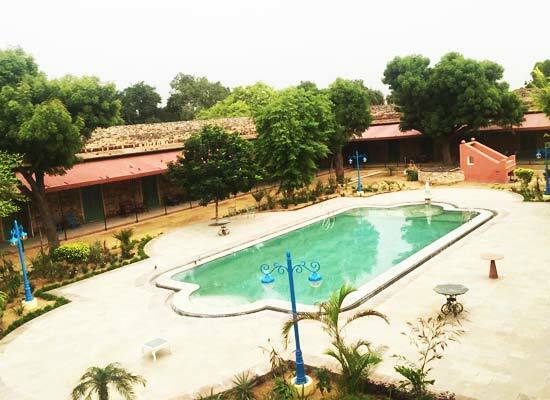 "Spread in an area of 8 acres, Castle Kanota is one of the best heritage hotels in Jaipur. 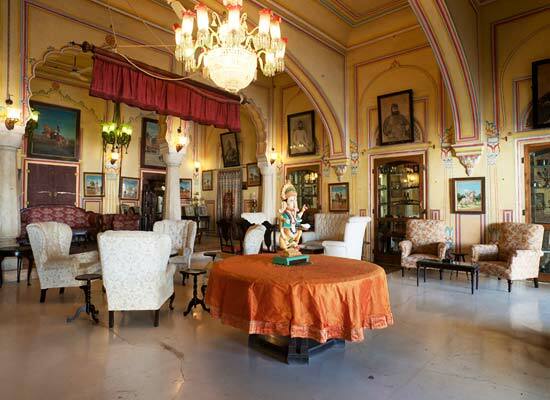 This heritage property is just 15 km away from Jaipur and lies on the Jaipur-Agra Highway. Constructed in 1872, it still clings to its wonderful old-world charm, in its decor, modern facilities as well as Rajputana hospitality. A library and a museum are two prime feature of this heritage hotel. Rural tourism, grand interiors, period furniture are the other highlights of this heritage hotel. 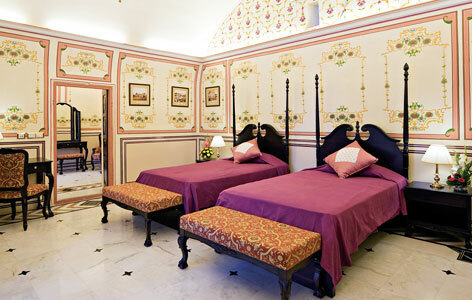 Established in the year 1872, the Castle of Kanota is one of the grand heritage resorts in Jaipur. 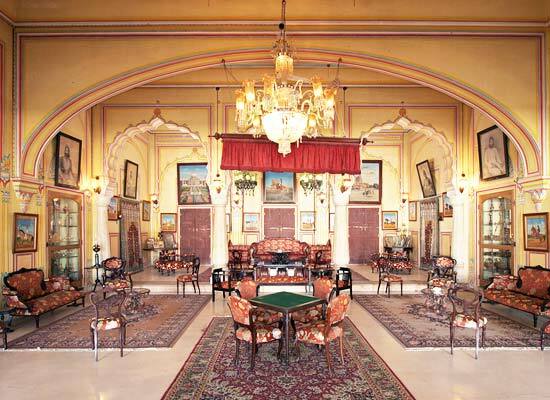 Built by Thakur Zorawar Singhji, the Castle Kanota recalls the grandeur and glory of the bygone eras of Rajput royalty. From the majestic Durbar Hall to the Golden Suites, a comfortable stay in the Castle Kanota is an out of the world experience. Nestled amidst fruit orchards and landscaped lawns, lies the Castle Kanota in Jaipur. Relax in the luxurious guest rooms of the Castle Kanota. Antique furniture and vintage flavor preserved in the rooms and the medieval aura makes Castle Kanota a class apart in heritage hotels in Jaipur. Castle Kanota, Jaipur features a multi-cuisine dining hall where the guests can relish special delicacies, prepared using age-old ‘thikana’ recipes from the royal kitchen. Meals are served in special metal utensils and special royal thalis. Some of the special snacks, main course dishes, breads and desserts served here are Rava tikki, Mahi Kebab kanota, Sewainyan Jafrani, Korma Murgh, Bajre ki Kadhi, Aloo Bindi Mokal, Achari Baingan, Do piyaza kalia loabdar, Roti Taftan, Naan Besani, Halwa Adarak, and Kesariya Bhat. Jaipur in Rajasthan is known for its important tourist attractions and exquisite handicrafts. Nahargarh Fort, City Palace and Hawa Mahal are the major tourist attractions of Jaipur. Shop for the unique souvenirs, exquisite handicrafts of Rajasthan and visit the tourist attractions of Jaipur in Rajasthan.